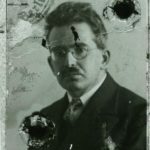 One of the inspirations driving the creation of this site is Walter Benjamin: a German philosopher and cultural critic. Benjamin’s work covered a wide range of topics including aesthetics, history, cultural studies, urban theory, etc. In particular, Benjamin unpacked what it meant to be an urban dweller in a world where urbanized areas were becoming denser and stranger to its inhabitants. As mass industrialization and urbanization took hold, the constant push-and-pull battle between working time and idle time began to slip toward spending most of our time working on behalf of others. , Benjamin brought attention to the cognitive value and pleasures associated with urban strolling. He spent a lot of time within the covered passageways of Paris observing the unfolding world around him – cataloguing the relationship between people and their surroundings in order to reveal fundamental truths about our humanity. As our urban landscapes become more dense and their built spaces more complex, our opportunities to interpret events and objects around us have increased. Unfortunately, this has occurred in tandem with accelerated industrialization, the entrenchment of the capitalist work-ethic, and the strong pull of our digital devices – all dulling our best attempts to feel present in the world. Walter Benjamin, in particular, has done the most to bolster the meaning of the term. Instead of assuming that those who have the time to wander aimlessly through urban landscapes are only engaged in a cursory and leisurely survey of their environment, Benjamin brought attention to the cognitive value and pleasures associated with urban strolling. A flâneur, under this interpretation, becomes an active sociologist or reader of the environment around him or her. 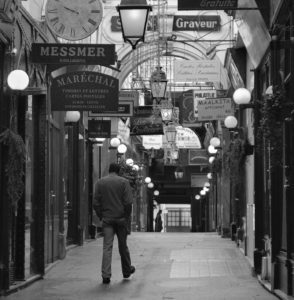 More than a dilettante, the flâneur is an urban archaeologist brushing off the dust that covers the surface of our urban experience and revealing what is peculiar and what is true. One of the hopes behind the creation of this site and its associated podcasts, videos, and writings is to inspire people to exercise and strengthen their flâneurial muscles – protecting your time and your attention to embed yourself fully within the world around you. This is not simply a call for more “work-life balance” or “mindfulness” in the face of a busier life. It is a rallying call to reclaim the space to engage well with the physical and cultural environment all around us. This lack of engagement is worrisome since we are not exercising our cognitive skills to read our environment. Whether it is the result of the pressures of commuting, of our inane habit of completing errands at break-neck speeds or of simple laziness, our visual intelligence is becoming rusty. Whether it should be deemed an aesthetic and/or political movement, it is time to rekindle our abilities to engage actively with our immediate environment and resist the tendency to let it pass unnoticed as the rhythmic swaying of our bus or train lulls us into a stupor. Listen to our inaugural podcast to learn more about this site and how it will grow over time.